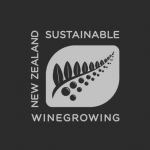 Produced from our own Waihopai Valley vineyard and the adjacent Barnsley vineyard, these two sites grow beautiful parcels of fruit that produce expressive wines with depth and finesse. This Pinot Noir is richly aromatic, showing ripe red berry and cherry characters, complemented by sweet, spicy oak notes. The palate is opulent with soft ripe tannins and great concentration that together produce a powerful, elegant wine. New Zealand roast lamb or duck, wonderful with oven roasted veg with garlic and herbs. Awarded 95 points and a Gold medal at the 2017 New World Premium Wine selection. Scented Pinot Noir with rich dark-fleshed plums, black cherry and smoky oak flavours. A succulent wine with a good backbone of drying tannins that help a lengthy finish. Good now, better with a little bottle-age.